Now featured on YouTube, Beginning Meditation with Bamboo Garden Yoga. Video presented by Kurriosity, The Social Network for Healthy Living. Benefiting from the supportive atmosphere of the group, students gain confidence in their ability to work with their minds at any given moment as they become increasingly awake to and aware of their own experiences. 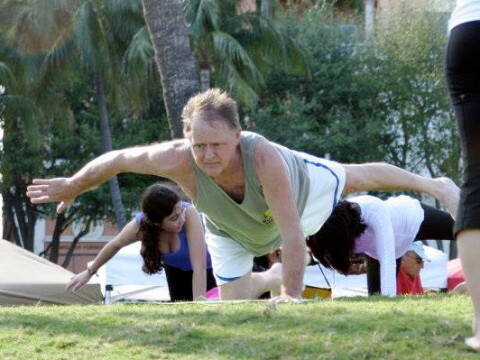 Delivers free yoga to veterans, service members and their families across the country. Connected Warriors yoga students benefit from increased relaxation and lower stress levels. Learn more at www.ConnectedWarriors.org. Perfect for beginners or for anyone looking to deepen his or her mind-body connection. 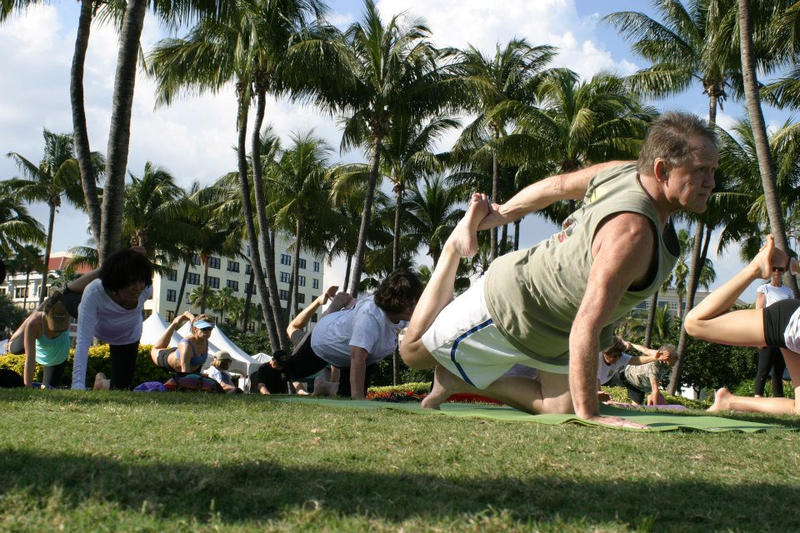 Classes as scheduled, Outdoor Yoga seeks to promote a sequence of movements while enjoying the fresh air and nature. This style is often referred to as “flow yoga” because of the way it links poses together through flowing movements, specifically the sun salutations Surya Namaskara A & B.
Bamboo Garden Yoga believes that the practice of yoga can be a powerful tool in helping to overcome the stresses, injuries and unwanted effects of military service. Sivananda Yoga is a form of hatha yoga in which the training focuses on preserving the health and wellness of the practitioner. 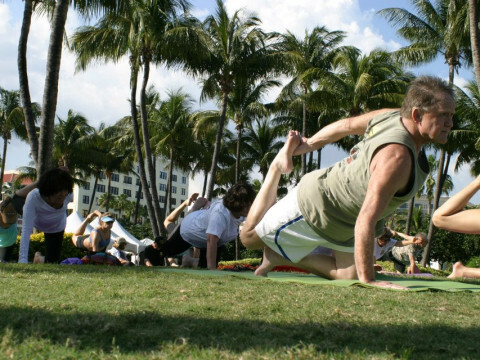 This practice revolves around frequent relaxation, and emphasizes full, yogic breathing. 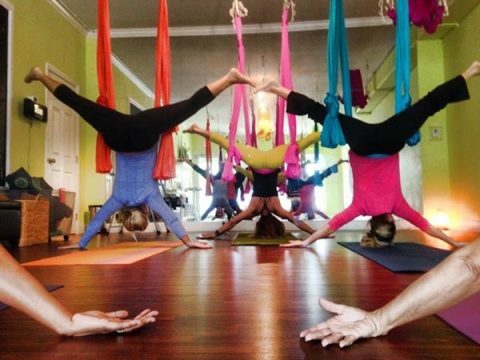 Aerial Silks Yoga is a new type of yoga that uses a fabric hammock as a tool to help students achieve the traditional Yoga positions. This new and innovative form of yoga will help the body decompress through zero-compression inversion therapy, while having a playful yoga practice.